Mother’s Day is coming up and if you’re tired of buying cards and flowers and want to do something different I’ve got a few suggestions for you! Last year I found more than a few items then I think would make excellent Mother’s Day presents and I’d be happy to share them with you. 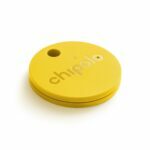 Not only do they come in a variety of colors but they are an incredibly convenient Bluetooth Tracking Device to Easily Find Your Lost Keys, Wallet, Phone, Bag, Backpack, Etc. They have a pretty Loud Speaker Alert (92 dB) and even a Replaceable Battery (Lasts 9+ Months) the first Bluetooth trackers to have that as far as I am aware! Mom a Traveler? 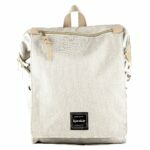 Or does she just like to get out, well say hello to my favorite item on the list, this really well designed Commuter Bag, School & Laptop Bookbag, Laptop Bag, and Great Diaper Bag Too! Large interior and separate space for laptop and non-slip shoulder straps with comfort padding! 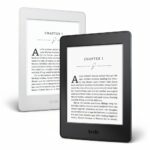 Plus it is TSA Friendly | Waterproof (Light Grey) and a money back guarantee? YES! 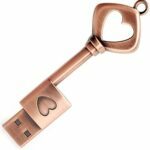 This flash drive is a metal key of love key chain! This is a USB 2.0 Memory Stick pen drive with a Bronze Key finish and sports a full A-class memory chip, Can Be erased Repeatedly for 100,000 Times. Super Durable Data Storage. Shock Proof and Electromagnetic Proof. Ideal for transferring photos and music and videos and other files from PC to PC, or other CE devices in your life. Plus, come on, it’s super cool! Happy Mothers Day to all you moms out there! You really do have the toughest job and only one day of celebrating you seems a little lame!